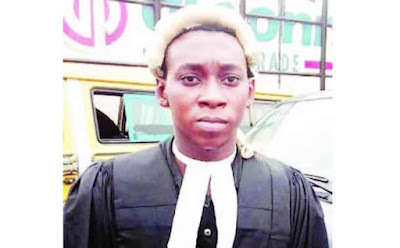 A man, Destiny Otubambo, has been arraigned before an Ogba Magistrates’ Court, Lagos, for allegedly impersonating a legal practitioner and fraudulently obtaining mobile phones. The 27-year-old on May 2018 approached a phone retailer at the Ikota Shopping Complex, Lekki, Ajah, Lagos, where he introduced himself as Adeleke, a legal practitioner, and requested a Techno Camon X Pro and iPhone 7plus. He allegedly claimed that he was cashless and wished to pay through online transfer. The suspect was reportedly given an account number, to which the amount would be credited. After a few minutes, he allegedly claimed that he had transferred the money. To prove that he had sent the money, he allegedly showed a debit alert from Zenith account number 2110746005, titled, Destiny Ayo Adeleke. Believing it to be true, the shop owner reportedly released the phones to him and requested his phone number. It was later discovered that the alert was a fake, while the phone number was unreachable and the account number non-existent. The girlfriend of the suspect, Marian Amuche, whose pictures were downloaded from the suspect’s Instagram page, led detectives to arrest Otubambo. The suspect, in his statement to the police, confessed to the crime, saying he had sold the phones to buyers he met online. Otubambo was arraigned on five counts of stealing, fraud and impersonation. The presiding magistrate, A. K. Dosumu, granted the defendant bail in the sum of N200,000 with two sureties each in like sum. She said the sureties should be gainfully employed with evidence of a two-year tax payment to the Lagos State Government. The case was adjourned till September 18, 2018.